The Idaho Wildlife Federation is Idaho’s oldest statewide conservation organization. Founded by sportsmen and women in 1936, we’re a leader in creating solutions to solve complex natural resource issues to protect our fish and wildlife, their habitats, and our hunting and fishing traditions. 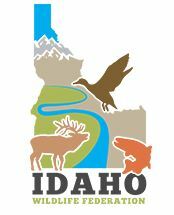 http://www.idahowildlife.org/Our efforts advance “made in Idaho” solutions that sustain wildlife and sporting opportunities that thrive while maintaining local economies and working agricultural landscapes through sound policy work, landscape planning, and education. The Idaho Wildlife Federation is dedicated to promoting the conservation and protection of our natural resources, wildlife, and wildlife habitat for future and current generations. Founded in 1936, the Idaho Wildlife Federation is Idaho’s oldest statewide conservation organization. For the last 80 years, Idaho citizens with farsighted commitment to conservation have united to ensure wildlife’s future. We are sportsmen and women, business people, farmers and ranchers, children, parents and grandparents, teachers, laborers, students — in short, all of us who care about wildlife and care about our futures. The Idaho Wildlife Federation proves that conservation is all of us working together. By committing to work together for wildlife in spite of our differences, IWF will continue to lead the offensive for Idaho’s wildlife as a united voice, as it has for the last 80 years. 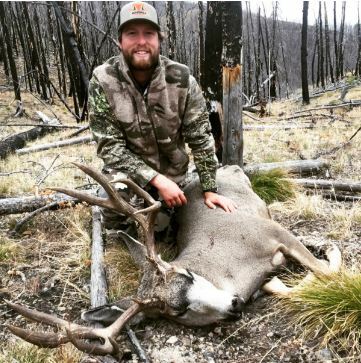 The Idaho Wildlife Federation is the sportsman advocate and voice in the state legislature. We are present at the statehouse every day during the annual legislative session to advance proactive sportsman legislation and defeat bills that would roll back fish and wildlife protections, privatize wildlife, and turn over our shared public lands to the states for private sale. We defend our public lands and our right to access them. We know that our system of public lands offers unspoiled, unfragmented, connected landscapes that provide a richness of fish and wildlife with unparalleled hunting and fishing afforded nowhere else in the United States. We also represent sportsmen interests and sound wildlife management within landscape planning processes that involve state and federal agencies as well as private land. We do this by engaging communities and involving local constituents to create local solutions. By coordinating these efforts and the efforts of other organizations interested in the conservation of natural resources of the state of Idaho, IWF fosters and promotes a general and continued movement for the conservation, restoration, protection, and scientific supervision of all game, fish, fowl, and other wildlife in its habitat in the state. Besides fishing and hunting, Brian enjoys mountain and road biking, skiing and snowboarding, backpacking, and morel hunting. We are at the state house every time sportsmen interests are under attack. We facilitate strategic legislative planning for sportsmen groups, professionally represent their interests in the legislature, promptly disseminate action alerts to our groups and supporters, and maintain close contact with the press. With a wealth of knowledge of natural resource policy, we operate by anticipating bad bills to efficiently defeat them, authoring proactive wildlife and sportsmen legislation, testifying in committee, and utilizing our state of the art communication and outreach system. Sign up here for news, legislative updates, and action alerts for the legislative session.